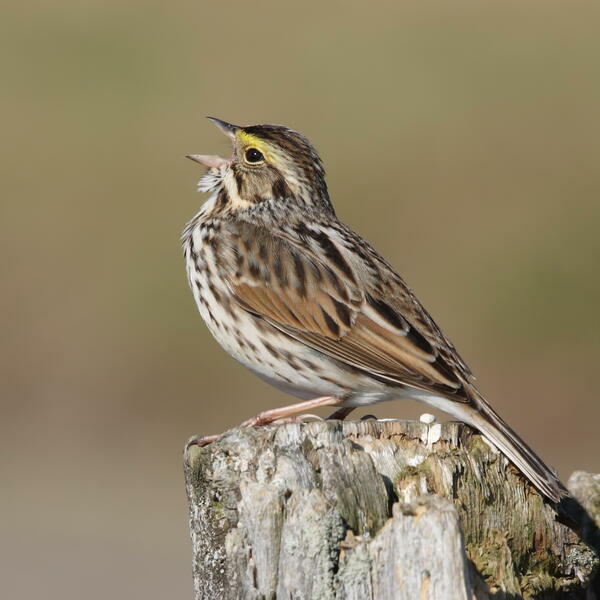 Savannah sparrow reimagined by Hans Glib. "I wanted to express the fact that Yellowstone Park, for all its beauty and tranquility, is sitting on a tectonic powderkeg that could destroy that beauty in moments. I'm currently experimenting with grain synthesis, which I used to create a random-sounding, but interlocking, series of rhythms out of the sparrow's call. It's overlaid with an evolving, slightly dissonant, textural drone to give a sense of uneasy peacefulness. As the piece progresses the underlying forces begin to make their presence felt, the birds vanish and the tone darkens (using a heavily treated sample of splitting wood). The return of the sparrow rhythm at the end was an accident, but I liked the note of hope it brought to the destruction and decided to keep it in." Part of the Yellowstone project - see www.citiesandmemory.com/yellowstone for more.